As the time-honored expression has it, give someone enough rope and they will hang themselves. Our best current example of this First Amendment principle is congressman Devin Nunes. The principal defendants, newly added, are the McClatchy Company and one of its newspapers, The Fresno Bee. Admittedly, this second complaint does contain several literary flourishes not found in the first. The Fresno Bee apparently “weaponized its powerful pen and used it as a terrible sword” for the purpose of character assassination. The Bee’s “powerful pen” in this instance describes a San Francisco yacht-based fund-raiser involving drugs and underage prostitutes and attended by investors of the Alpha Omega Winery, partly owned by Nunes. 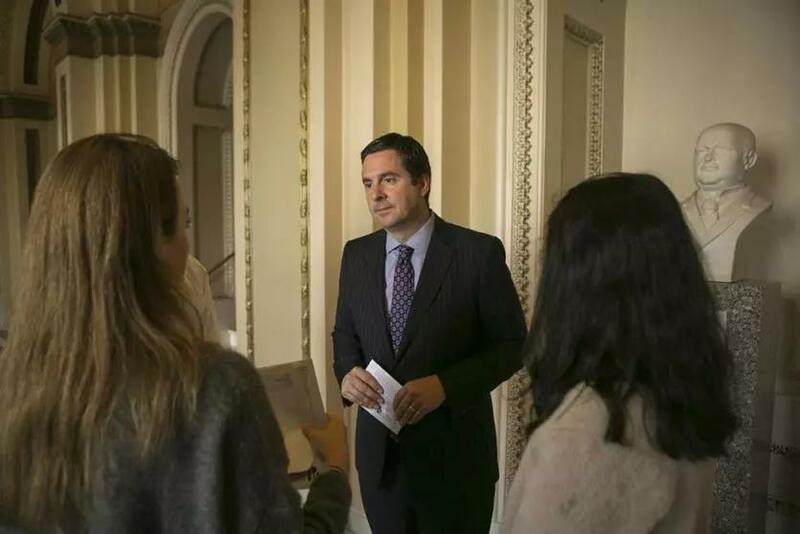 The article stated that it was unclear whether Nunes was affiliated with, or even aware of, the fund-raiser. After the fund-raiser, an employee of the winery filed suit alleging she had been stranded aboard the yacht in sordid and upsetting circumstances. Conceding that he might be judged by the company he keeps, Nunes asserts that the mention of his name in connection with the suit against the winery imputes “dishonesty, unethical behavior, lack of integrity, and an unfitness to serve as a United States Congressman.” It is not immediately apparent why he determined his claim is worth only $150 million on this occasion (a full $100 million less than his first suit). Perhaps he is unsure of his ability to prove that all of these slurs are, in fact, libelous. This suit, like the previous one, was filed in Virginia, one of 22 states that does not have a law allowing prompt dismissal of lawsuits that are brought for the purpose of suppressing participation in public affairs. Legal and journalistic organizations have advocated the passage of federal legislation that would provide such protection nationwide, and bills to that effect were introduced without success in Congress in 2009 and 2011. An analysis published by the Litigation Section of the American Bar Association has pointed out that lawsuits like those filed by Nunes aren’t typical lawsuits. They aren’t intended to be won, or even taken to conclusion. They are, pure and simple, an abuse of the court system for the purpose of waging economic warfare. “They do their work through the process of the litigation itself,” according to the bar association. Despite his claim to be concerned about the misleading nature of the story, Nunes has never requested a correction from The Fresno Bee. He has, however, asked the court for an injunction that would prevent publication, republication or dissemination in any form whatsoever (his main concern appears to be Twitter) of every reference he calls defamatory. Richard Nixon is already back in the news these days as claims of executive privilege and talk of impeachment dominate the airwaves. Nunes is making a valiant effort to remind us of another Nixonian moment — the effort to block the New York Times and Washington Post from publishing the Pentagon Papers. We may not be nostalgic for Nixon, but we can look back with longing at the Supreme Court’s swift response to his desire for an injunction in New York Times Co. v. United States. Perhaps congressman Nunes should take a break, stop monitoring Twitter and The Fresno Bee, and reflect on the purpose of allowing freedom of speech, even when it annoys him.